Finding the poisonous frog is not surprising. 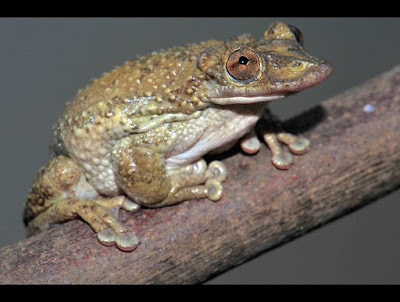 However, finding a venomous frogs, especially if its venom come out of the head, then it is very special. Edmund Brodie from Utah State University and Carlos Jared of the Instituto Butantan in Sao Paulo spends of their life to studying the food chain inter-species of amphibians in Latin America. In one of their expeditions in the Caatinga jungle in Brazil, Carlos holds a frog species. Not surprisingly, then, his hand ached and burned for approximately 5 hours. Initially, he did not connect the pain with frogs. It realized until he observed the new frog collection, and realize that the amphibians remove toxins. Moreover, he found that the frog produces venom. 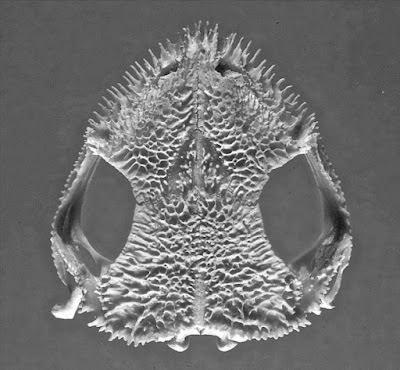 The head of species called Greening's frog that there is a similar bulge thorns. That bulge that remove the venom. The discovery of venomous frogs is something special. 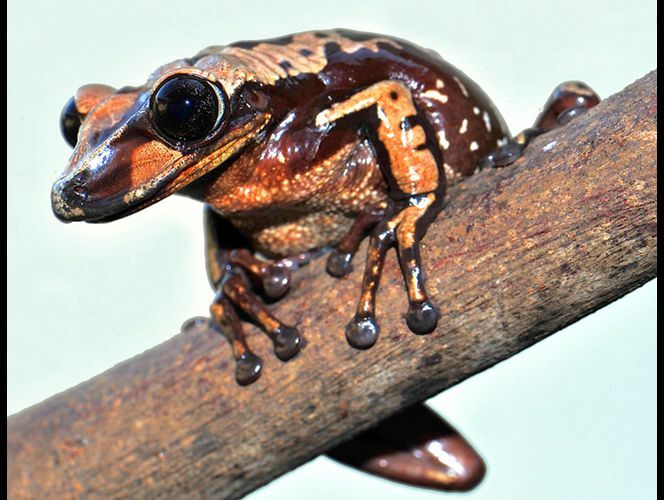 Many frogs can produce toxins, but very few were found to produce a deadly poison. Poisonous and venomous are different things. Poisonous frogs have a passive defense. Toxins will only kill if opponent frogs or another animals in contact or eat it. Not so the venomous frogs. This type has an active defense, capable of deliberately inserting a similar bulge thorn to kill the opponent. In the expedition, Brodie and Carlos found two species of venomous frogs as well. The venomous frog that held by Carlos is 'Corythomantis greeningi'. 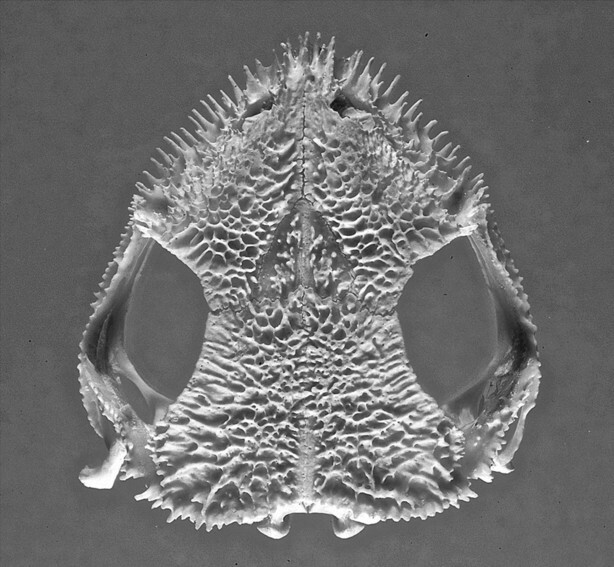 Meanwhile another frog is 'Aparasphenodon brunoi'. The venom of the two types of frogs are very deadly. For comparison, the toxins of C. greningi two times more lethal than pit viper snake, while A. bruni 25 time more lethal. Where for every one gram of venom capable of killing 300,000 mice or 80 humans. Because of toxicity, the CBS authors called the two frogs as "frogs from hell". 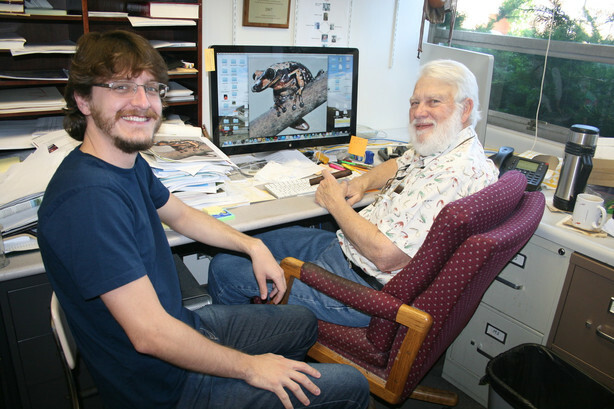 However, for one-time injection of venom wasn't probably equivalent to one gram. So it does not mean that when we exposed to the toxins of frogs then we instantly die.